*From AllForLoveAnimalRescue.org: Ruby is an adorable, young, sweet girl, who was on death row at the Camarillo Animal Shelter. 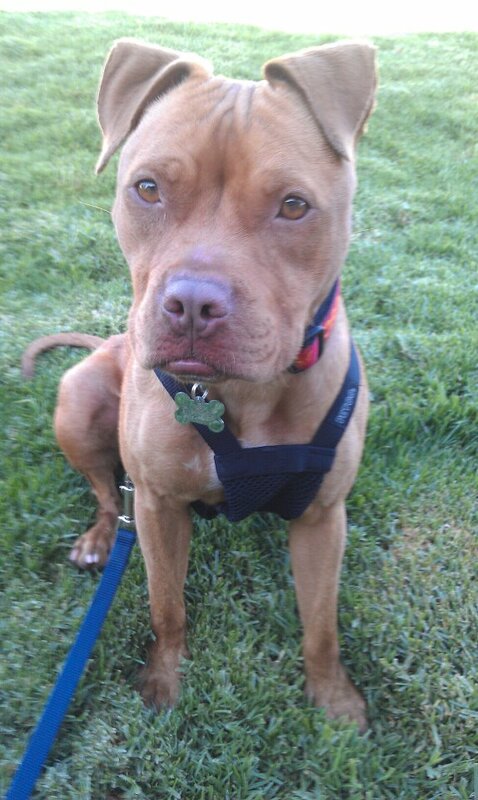 Small in size, she is a pocket pit who is playful, energetic, and very friendly. All For Love Animal Rescue (AFLAR) helped a private party in getting her out of the shelter. They had committed to finding her a home, but were unable to do so. Now, in order to keep her from being returned to the shelter, AFLAR stepped in to help. Since she is young, Ruby will need some basic training, but our trainer has given her a good assessment. Unfortunately, she has just been diagnosed with epilepsy. We took her to the vet for tests, and she is now on meds, and we are watching her carefully. So, AFLAR is committed to helping Ruby, and therefore we are faced with boarding, training, and medical costs, in addition to eventually finding hera foster or forever home. And since she was pulled for a private party, we don't have any donations for Ruby, and so we are reaching out for help in caring for her. AFLAR pulls many death row dogs and "medical" dogs from the Camarillo shelter (primarily Pit Bulls & Chihuahuas, who are most in danger). We operate solely on charitable donations to enable us to continue our work for these animals. Please help us with Ruby by donating for her care, and also spreading theword about this great little girl? She is depending on us, and we won't let her down. Please check us out on FACEBOOK (for photos & video) and at AllForLoveAnimalRescue.org, or call (805) 445-3535. Thank you for sharing Ruby! Her medical and boarding costs increase daily. She needs donations and a foster or furever home. Her epileptic seizures would not be quite as scary in a loving home of her own. Please help!